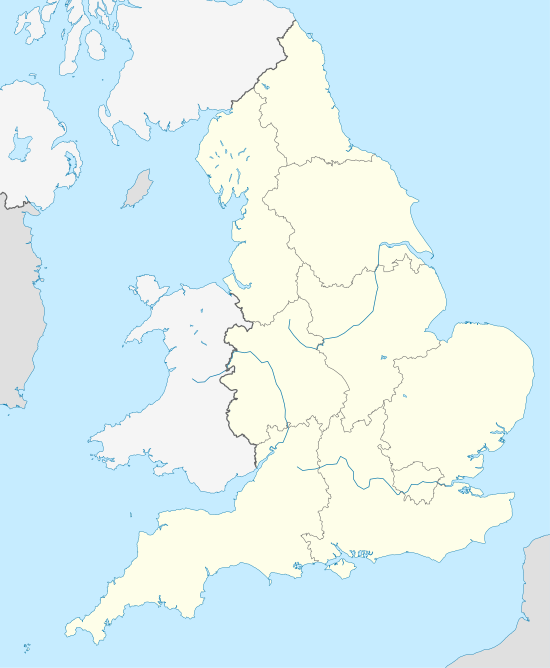 The 2016–17 EFL League Two (referred to as the Sky Bet League Two for sponsorship reasons) is the 13th season of the Football League Two under its current title and the 24th season under its current league division format. The fixtures were announced on 22 June 2016. All statistics correct as of 28 May 2017. ^ Fallon, Jack. "Champions 2015/16". Cheltenham Town FC. Archived from the original on 16 April 2016. Retrieved 16 April 2016. ^ "Grimsby Town PROMOTED! Mariners 3-1 Forest Green". Grimsby Telegraph. Retrieved 19 February 2017. ^ "Crewe 3 Doncaster 1: Rovers edge closer to relegation". The Yorkshire Post. ^ "Peterborough 5 - 1 Blackpool". BBC Sport. 8 May 2016. Retrieved 8 May 2016. ^ "Colchester 0 - 3 Burton Albion". BBC Sport. 23 April 2016. Retrieved 23 April 2016. ^ "Davis: "Everyone Is Hurting Badly"". Crewe Alexandra FC. ^ Willsher, Gareth. "Champions!". Northampton Town FC. Retrieved 16 April 2016. ^ Williams, Chris. "Full time report as the U's beat Wycombe to go up". ^ "Bristol Rovers 2-1 Dagenham & Redbridge". ^ "AFC Wimbledon promoted to League One". BBC Sport. Retrieved 19 February 2017. ^ "Match Report: Leyton Orient 3 Dagenham and Redbridge 2". Dagenham & Redbridge FC. Retrieved 16 April 2016. ^ "Accrington Stanley 3 - 0 York City". BBC Sport. 23 April 2016. Retrieved 23 April 2016. ^ "Neil McDonald: Blackpool part company with boss after League One relegation". BBC Sport. Retrieved 1 June 2016. ^ "Bowyer Named New Blackpool Manager". Blackpool FC. Retrieved 1 June 2016. ^ "Andy Hessenthaler: Leyton Orient part company with manager". BBC Sport. Retrieved 26 September 2016. ^ "Leyton Orient: Alberto Cavasin, former Sampdoria boss, named new O's manager". BBC Sport. Retrieved 3 October 2016. ^ "Newport County sack manager Warren Feeney". BBC Sport. Retrieved 1 October 2016. ^ "Graham Westley: Newport County appoint former Stevenage boss". BBC Sport. Retrieved 9 October 2016. ^ "Paul Hurst: Shrewsbury Town name ex-Grimsby boss as new manager". BBC Sport. Retrieved 25 October 2016. ^ "Marcus Bignot: Grimsby Town appoint Solihull Moors boss as manager". BBC Sport. Retrieved 17 November 2016. ^ "Steve Evans: Mansfield Town appoint former Leeds boss as manager". BBC Sport. Retrieved 17 November 2016. ^ "Alberto Cavasin: Leyton Orient sack manager after seven weeks in charge". BBC Sport. Retrieved 23 November 2016. ^ "CONFIRMED: Andy Edwards replaces Alberto Cavasin as Leyton Orient manager". talkSPORTS. Retrieved 23 November 2016. ^ "Martin Allen: Barnet manager departs club and set to join Eastleigh". BBC Sport. Retrieved 1 December 2016. ^ "Kevin Nugent: Barnet appoint Charlton coach as manager". BBC Sport. Retrieved 17 February 2017. ^ "John Sheridan: Notts County sack manager after nine successive league defeats". BBC Sport. Retrieved 2 January 2017. ^ "Kevin Nolan: Notts County appoint new manager". BBC Sport. Retrieved 12 January 2017. ^ a b "Crewe Alexandra: David Artell named manager after sacking of Steve Davis". BBC Sport. Retrieved 12 January 2017. ^ "Craig Hignett: Manager leaves League Two strugglers Hartlepool". BBC Sport. Retrieved 16 January 2017. ^ "Dave Jones: Hartlepool name ex-Wolves, Cardiff and Wednesday boss as manager". BBC Sport. Retrieved 18 January 2017. ^ a b "Leyton Orient: Danny Webb becomes new manager after Andy Edwards takes FA job". BBC Sport. ^ "Newport County sack manager Graham Westley". BBC Sport. Retrieved 9 March 2017. ^ "Mike Flynn appointed permanent Newport County manager". BBC Sport. Retrieved 9 May 2017. ^ "Danny Webb: Leyton Orient boss resigns after two months in charge". BBC Sport. 30 March 2017. Retrieved 30 March 2017. ^ "Managers: Steve Davis". Soccerbase. Centurycomm. Retrieved 8 August 2017. ^ "Marcus Bignot: Grimsby Town sack manager after five months in job". BBC Sport. Retrieved 11 April 2017. ^ "Kevin Nugent: Barnet part company with head coach". BBC Sport. Retrieved 15 April 2017. ^ "Rossi Eames: Barnet appoint new head coach". BBC Sport. Retrieved 24 May 2017. ^ "Dave Jones: Hartlepool United part company with manager". BBC Sport. Retrieved 24 April 2017. ^ "Craig Harrison: Hartlepool United appoint The New Saints boss as manager". BBC Sport. Retrieved 26 May 2017. ^ "Dermont Drummy: Crawley Town part company with manager". BBC Sport. Retrieved 4 May 2017. ^ "Former Liverpool and Leeds United midfielder Harry Kewell is the new Head Coach at Crawley Town". CrawleyTownFC. Retrieved 24 May 2017. ^ "Jim Bentley named Sky Bet League Two Manager of the Month". EFL. Retrieved 15 September 2016. ^ "James Coppinger named Sky Bet League Two Player of the Month". EFL. Retrieved 15 September 2016. ^ "Derek Adams named Sky Bet League Two Manager of the Month". EFL. Retrieved 11 October 2016. ^ "Jon Stead named Sky Bet League Two Player of the Month". EFL. Retrieved 11 October 2016. ^ "Keith Curle named Sky Bet League Two manager of the month". EFL. Retrieved 11 November 2016. ^ "Jason Kennedy named Sky Bet League Two player of the month". EFL. Retrieved 11 November 2016. ^ "Gareth Ainsworth named Sky Bet League Two Manager of the Month". EFL. Retrieved 9 December 2016. ^ "Omar Bogle named Sky Bet League Two Player of the Month". EFL. Retrieved 9 December 2016. ^ "John McGreal named Sky Bet League Two Manager of the Month". EFL. Retrieved 6 January 2017. ^ "Scott Kashket named Sky Bet League Two Player of the Month". EFL. Retrieved 6 January 2017. ^ "Darren Ferguson named Sky Bet League Two manager of the month". EFL. Retrieved 10 February 2017. ^ "Ollie Watkins named Sky Bet League Two player of the month". EFL. Retrieved 10 February 2017. ^ "Stevenage boss Darren Sarll named Sky Bet League Two Manager of the Month". EFL. Retrieved 10 March 2017. ^ "Stevenage striker Matt Godden named Sky Bet League Two Player of the Month". EFL. Retrieved 10 March 2017. ^ "John Coleman named Sky Bet League Two manager of the month". EFL. Retrieved 8 April 2017. ^ "Shay McCartan named Sky Bet League Two player of the month". EFL. Retrieved 8 April 2017. ^ "Paul Cook named Sky Bet League Two manager of the month". EFL.com. Retrieved 5 May 2017. ^ "Mickey Demetriou named Sky Bet League Two player of the month". EFL.com. Retrieved 5 May 2017.